“`The actress who helped define the origins of film noir; co-starred with Frank Sinatra in his initial screen appearance; and stood toe-to-toe with Humphrey Bogart, Michèle Morgan is a forgotten star from Hollywood’s Studio Era, and a French legend. She received the inaugural Best Actress Award at the Cannes Film Festival. “`Morgan took acting lessons from Renè Simon, while serving as an extra in several flicks to pay for her drama classes. She was first noticed by director Marc Allgèret, who offered her a major role in Gribouille. In 1938, Michèle co-starred with Jean Gabin in Port of Shadows (Le Quai des brumes). Exterior sets were moody and dark, symbolizing nuanced fatalism; and it influenced the American film noir genre. The production was a fine example of poetic realism. It was the 1939 winner of France’s top cinematic prize, the Prix Louis-Delluc. “`After the blitzkrieg of France in 1940 by the Nazis, Michèle escaped to Hollywood, and was contracted by RKO Pictures. Her screen career across the pond was relatively minor, apart from appearing in Joan of Paris opposite Paul Henreid; and Higher and Higher, Sinatra’s motion picture debut. She was strongly considered for the female lead in Casablanca; but, RKO wouldn’t release her for the amount of money Warner Brothers offered. She co-starred with Bogie in Passage to Marseille. “` In 1992, she was given an honorary Cèsar Award for her contributions to French cinema. Four years later, Morgan was awarded a Career Golden Lion for Lifetime Achievement at the Venice Film Festival. “`Film historians surmise that no one who passed away in 2016 had more of an impact on the business of movie-making during its Golden Age. 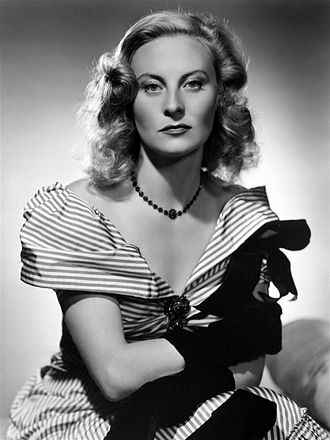 Michèle Morgan was 96. This entry was posted on Friday, December 30th, 2016 at 1:12 am	and is filed under Blog by Manny Pacheco. You can follow any comments to this post through the RSS 2.0 feed. Responses are currently closed, but you can trackback from your own site.